Security Patrol Track provides a cloud based, real time security guard incident reporting system giving you the competitive edge in today’s market. Security Patrol Track can be used with any smart device. Since there is no app to download, field officers can use our system with the company’s or their own personal smart-devices. 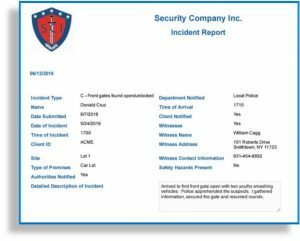 The Security Patrol Track incident reporting software was designed by industry professionals specifically for the security guard industry and requires very little user training time. 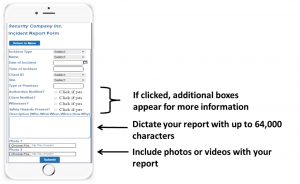 You can add detailed information for several individual at once and track them to the same incident report. Our “Banned From Property” feature allows officers to quickly identify an unwanted visitor by their license plate, DOB, or other means!